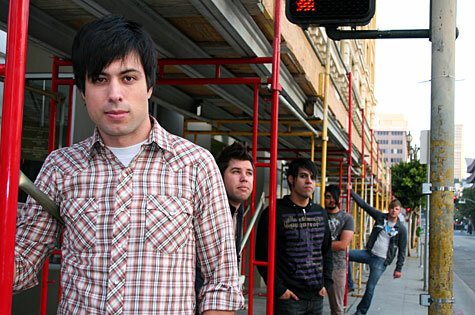 California's Transistor Radio is a Christian rock band that falls somewhere between groups like House of Heroes and Relient K. They came to life in the early 2000s, its members banding together around their first two loves: God and music. 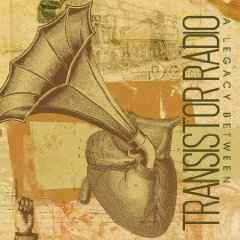 Transistor Radio's debut album, A Legacy Between (2007) is the first release from Up At Nite Records, the new rock imprint of Syntax Records. Transistor Radio's line-up consists of Jamesdon Kissling (vocals/keys), Guy Bravo (guitar), Sam Moreno (guitar/vocals/keys), Andrew Galbreath (bass/vocals), and Jordan Heid (drummer). Their alt-rock groove is backed up by boldly honest lyrics that flow from their strong relational drive. Unafraid to open up a vein and reveal candid fears, they serve up the deeply expressive “ California in December,” and bravely convey the chaos of dependency in “Addiction.” Their sound is message-oriented without skimping on sonic excellence, as illustrated in the melodic intensity of “The Getaway,” powerfully portraying one mind’s consideration of the gospel and its benefits.